This colourful interactive Magnet activity comes with a selection of ideas (Word doc / PDF) to help you exploit it with your classes. Great for thinking skills! Thanks for the feedback - good point. 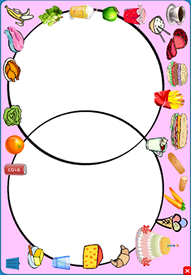 We have now added an image of the Venn diagram to the Word document and PDF.